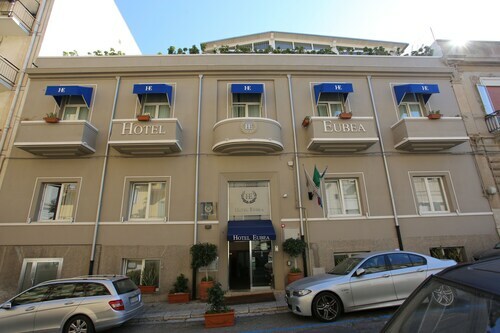 Situated in Villafranca Tirrena, this spa hotel is 4.9 mi (8 km) from Venetico Marina Beach and within 12 mi (20 km) of Shrine of Christ the King and Sanctuary of Montevergine. Messina Theatre and Messina Fountain of Neptune are also within 12 mi (20 km). Villafranca Tirrena Station is 26 minutes by foot. 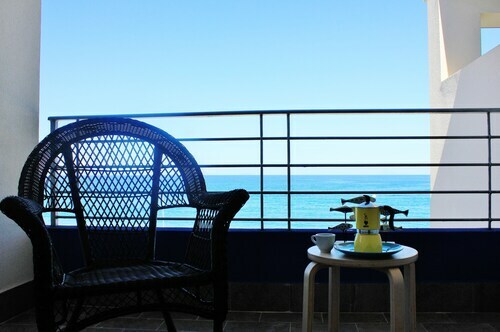 Situated by the sea, this hotel is within 9 mi (15 km) of Venetico Marina Beach, Shrine of Christ the King, and Sanctuary of Montevergine. Messina Theatre and Messina Fountain of Neptune are also within 9 mi (15 km). Villafranca Tirrena Station is 28 minutes by foot. Situated near the beach, this apartment building is 4.3 mi (6.9 km) from Venetico Marina Beach and within 12 mi (20 km) of Shrine of Christ the King and Sanctuary of Montevergine. Messina Theatre and Messina Fountain of Neptune are also within 12 mi (20 km). Villafranca Tirrena Station is 21 minutes by foot. Situated by the ocean, this romantic property is 5.5 mi (8.8 km) from Venetico Marina Beach and within 12 mi (20 km) of Shrine of Christ the King and Sanctuary of Montevergine. Messina Theatre and Messina Fountain of Neptune are also within 12 mi (20 km). How Much is a Hotel Room in Villafranca Tirrena? Hotels in Villafranca Tirrena start at $43 per night. Prices and availability subject to change. Additional terms may apply. Taking a trip to Messina? Want somewhere to put your feet up? 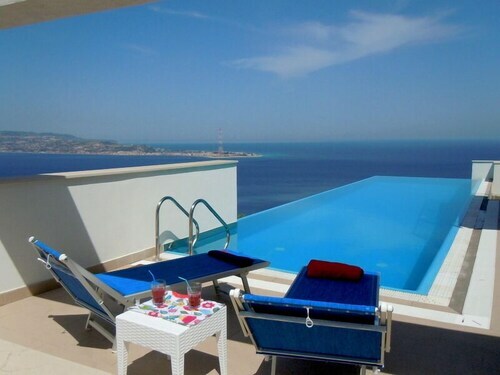 Travelocity's booking portal has a great range of hotels and rooms. Travelocity customers can research about 10 luxurious and affordable rooms within a short drive of the downtown area. If you and your family are on the search for a hotel that's within 2 miles (3 kilometers) from the middle of Villafranca Tirrena, Hotel Il Parco degli Ulivi and Viola Palace Hotel will suit your needs. The Altafiumara Resort & Spa is 12 miles (20 kilometers) from the city center of Villafranca Tirrena. On the other hand, the Town House Cavour can be found approximately 13 miles (21 kilometers) away. 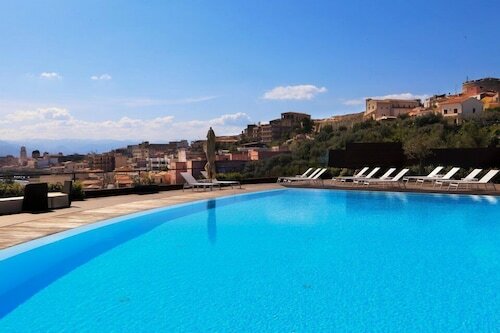 The èHotel as well as the Eolian Milazzo Hotel are two more Travelocity-listed options in Villafranca Tirrena. The extended Sicily district is well worth exploring too. Sicily offers rural landscapes, and other interesting tourist attractions are ruins, castles and old towns. Common activities in this part of Italy include snowboarding and skiing. Taormina is 30 miles (45 kilometers) to the south of Villafranca Tirrena and is home to Greek Theatre and Palazzo Corvaja. The Belmond Grand Hotel Timeo and Belmond Villa Sant'Andrea are just a handful of the Travelocity-recommended hotel options in Taormina. Alternatively, you could consider staying at Barcellona Pozzo di Gotto, 14 miles (22 kilometers) to the southwest of Villafranca Tirrena, where you can pick from the CasadelMela B&B and Agriturismo Parra. The Parc Museum Jelari and Cathedral of Barcellona Pozzo di Gotto are some of the more frequented attractions to get to know when in Barcellona Pozzo di Gotto. Prior to departing Messina, you should certainly ensure you take in an exciting game. Make your way to Angelo Massimino Stadium, which you can find to the southwest of Villafranca Tirrena. 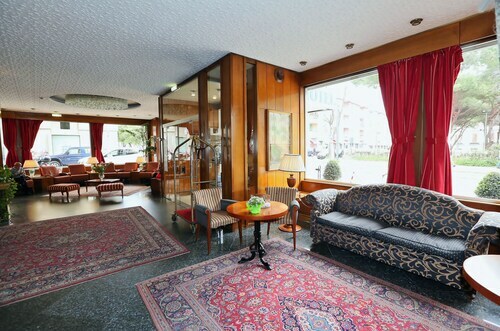 Find accommodation not far from the action at the Romano Palace Luxury Hotel or the Liberty Hotel. Strait of Messina Airport is a closeby gateway for air travel, and can be found 15 miles (24 kilometers) from Villafranca Tirrena's central precinct. 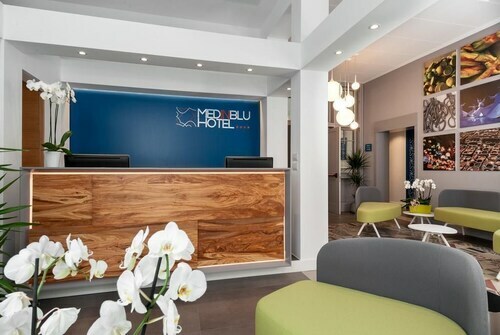 Travelocity-listed accommodation nearby include Casa Blanca Bed & Breakfast and Medinblu. A hotel the has seen its prime come and go. I suppose a good value for the money, but nothing else. Very clean. Staff was very friendly and helpful. Free breakfast buffet was outside so ants and flys near/on food was an issue. Also empty food trays were not replenished. I loved the Blu Infinito B&B! It was fabulous! The pool was incredible and the rooms were so clean! Plus, our host Andrea was very courteous and helpful!